It’s a never ending campaign cycle with all of the special elections this year. Since Lynwood Lewis is moving up to the State Senate, his seat in the Virginia House is vacant. The 100th House District covers all of the Eastern Shore and a portion of Norfolk. I learned the importance of education from my parents, who never attended a day of high school, and my two sons graduated from local, public high schools. That is why I am focused on assuring better funding for our schools. Both sons served in the military (US Marine Corps and US Army Special Forces) so I know the importance of supporting our veterans. I have a demonstrated commitment to community service and to making our community a better place to live, including my work with the Eastern Shore Broadband Authority to bring high speed Internet to rural communities, my work with community colleges expanding educational opportunities for our children, and my work with the hospitals to improve healthcare for all of our citizens. I will stand up to Richmond Republicans who want to control our lives. Individual choice in health care and other private matters must be protected from government interference. We need to prevent outrageous tolling on the Midtown Tunnel, so that commuters are not forced to pay just to get to work. Virginians must not be forced to send their hard earned money to support expanded medical care for residents of other states. Our money should be used to expand health care for Virginians where it can also help create good-paying jobs. 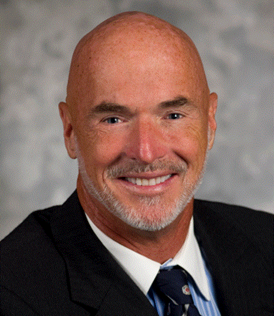 Willie began his career in the financial services industry on Virginia’s Eastern Shore in 1997. His goal is to help individuals and businesses achieve their financial objectives using appropriate investment strategies. Willie is serving or has served on the following boards: Northampton County Board of Supervisors; Riverside Shore Memorial Hospital Board of Trustees; Eastern Shore Chamber of Commerce Board of Directors; Virginia State University Board of Visitors; Onancock Rotary Club; Accomack-Northampton Transportation Commission; Accomack-Northampton Planning District; and Eastern Shore Regional Jail Board. Education – I want Universal Pre-K similar to what we have in Northampton County. Our County was the test case for this concept. We proved that it could be done and I would like to see this opportunity for all children in our state. Jobs – I want the state to adopt tax free zones for economically disadvantaged communities. We want to encourage companies to bring their businesses to communities like ours. I am a lifelong resident of the HD 100. My wife Beth and I raised our 4 children here. I retired from the Accomack county Public Schools after 30 years of service and have served on the Accomack County Board of Supervisors for the past 33 years where I have served as Chairmen 4 times. I currently reside in Keller VA. If you ever would like to contact me or ask a question about how I stand on a specific issue, please do not hesitate to give me a call (757) 787-7166.  Defender of balanced budgets and keeping taxes low.  Long time supporter of Public Education.  Protector of agriculture through agricultural and forestry districts.  Working to protect The Bay and our ground water.  Working to expand Wallops Island and create new jobs.  Strong supporter of our volunteer fire and rescue companies.  Strong supporter of public safety and our police officers.  Working to build a better relationship between Accomack and Northampton County.  A strong and constant voice for the Eastern Shore at the state and federal level.  Quality education for all students from early childhood through college.  Protecting the Chesapeake Bay and our Ground water.  Demand a balanced budget and no unfunded mandates.  Never passing the buck to counties, towns and cities.  Getting our fair share of transportation money for Accomack Northampton and Norfolk.  Leaving zoning and planning requirements to the localities.  Not adding additional regulatory burdens to our farmers and watermen. The City of Norfolk issued a Request for Proposals (“RFP”) and has received responses from at least three different developers wanting to redevelop the old Meadowbrook school site. The school is on W. Little Creek Road almost at the Corner with Hampton Blvd. Most of the developer’s proposals involve high density apartments. The City is also interested in replacing the aging Fire Station No. 12 that is currently across W. Little Creek Road from the old Meadowbrook school. The City has been looking at possibly moving the Fire Station to a small portion of the Meadowbrook site. If this is done, the balance of the property may be redeveloped as well. Meadowbrook Civic League has taken a reasonable position with regard to the redevelopment site and is asking Norfolk residents to sign their petition asking the City to maintain park space and limit the density to single family. The nice people over at Suburban Asset Management have provided the following updates with regard to their Harris Teeter anchored shopping center at the southeast corner of Wards Corner. The following stores are scheduled to open on February 19, 2014: Harris Teeter, Starbucks, Subway, Sleepy’s, and Albano Cleaners. Moe’s Southwest Grill, Great Clips, and nTelos Wireless will likely open before mid-March. There is still one 2100 square foot location facing Louisiana Drive that is not rented. The developer is waiting for a local restaurateur that will be the right fit with the location. The TowneBank is scheduled to open sometime in May or June. The following was taken from the Virginian-Pilot Archives Facebook page. Back on January 9, 1952, Virginian-Pilot Photographer Charles Borjes stepped into the new PHR Center Shops at Norfolk Wards Corner. Borjes was invited to the store to take a few shots of the new facility that would open on Monday the 14th. On Sunday the 13th PHR Center Shops placed several pages of advertisements in the Pilot to announce their opening – a few which we feature along with the photos. The new store opened just a little more than 10 years after the Paul H. Rose Corp. founded the first Center Shops on 21st in the Fall of 1941. The entire store is illuminated with florescent lighting called “slimline” which is the newest type of store lighting meant to bring out the truest colors of merchandise. The store features an escalator to carry customers between the first and second floors. The store has 150 employees. Adjoining the store with both an outside and inside entrance is a Rose’s 5-10-25c Store. Photos courtesy of the Sargeant Memorial Collection. The only update to the information in Michelle’s article that I have is that the artist for the public art at Wards Corner has been chosen and it is Gordon Heuther. The next steps will be bringing Gordon to Norfolk and introducing him to Wards Corner. There will be public meetings so that Mr. Heuther can meet the residents and receive input for the to-be-designed public art. You can view Mr. Heuther’s website here. Wards Corner once again bears the K&K name. Lots of history inhabits those letters. A red brick Harris Teeter now sits surrounded by fresh landscaping and newly paved streets close to where Kenneth Perry launched a toy empire. He started as a barber in Wards Corner in 1942. More than a decade later, he bought a nearby variety store and changed its name to K&K 5&10, adding the second K for his wife, Kathryn. The toy section of that store grew until it became its own entity. K&K Toys expanded for decades, growing to 136 stores before Perry sold it to a competitor. K&K Toys has been gone a long time. But most people in Norfolk and in much of the country recognize the successor to Kenneth Perry’s entrepreneurial spirit: Dollar Tree. It, too, grew its roots in Wards Corner, founded by Perry’s son, J. Douglas Perry, and son-in-law, Macon Brock. 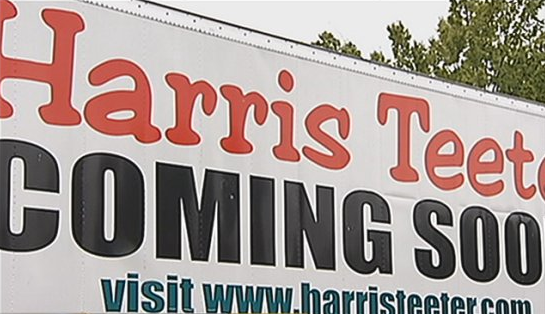 Chris Perry, Kenneth Perry’s grandson, tore down the old shopping center, including a Dollar Tree store, to make way for Harris Teeter. He renamed it K&K Square at Wards Corner. The property remains hugely important to his family, Perry said. Friends of his grandparents will be reminded of them by the name, and newcomers will have reason to look them up. Perry also refurbished and remounted the Wards Corner mermaid, another reminder of his grandfather. You are currently browsing the Wards Corner Now - Wards Corner, Norfolk, Virginia blog archives for January, 2014.